Welcome Home to this Custom Built 2 Story Home in The Heart of Meridian!!! 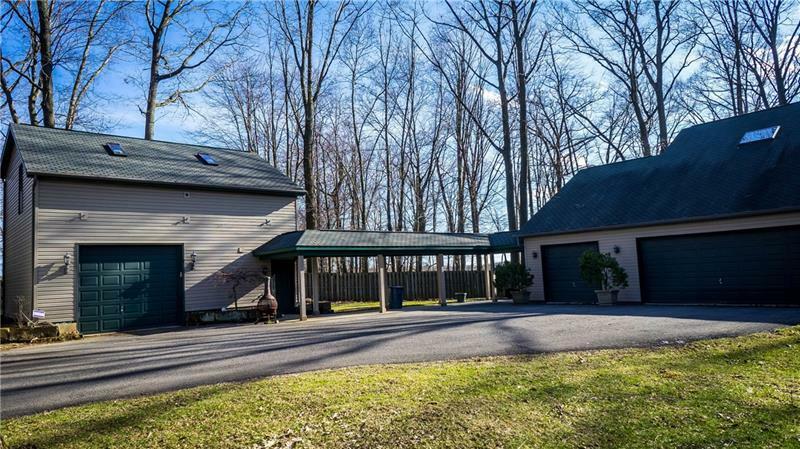 This Amazing One-Owner Home is privately situated on a Beautiful Wooded Lot. The first floor Boasts a Formal Living Room with Vaulted Ceilings, Gas Fireplace, Wet Bar & Gorgeous Natural Light. The Eat-In-Kitchen w/Island and Open Concept Formal Dining Room features access to The Expansive Deck made from 100% Recycled Plastic and Built in Gas Grill!!! The Dining Room also Flows Seamlessly into The First Floor Sunroom that doubles as a Family/Game Room w/Vaulted Ceilings and Amazing Natural Light. The Second Floor of this home is equipped with 3 Nicely Sized Bedrooms including a Master Bedroom with Private Balcony, Vaulted Ceilings & On-Suite Bathroom!!! The Lower Level Of this home is Polished Off with Finished Family/Game Room, Office & Den Area, Laundry Room & Full Bath. This home also has a Covered Walkway to the Additional Detached Garage/Workshop Complete Full Second Floor Storage. One of a Kind! !